Juan Rodríguez Cabrillo was born in about 1500. 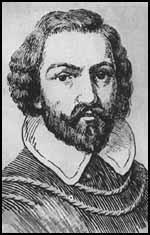 Early historian, Antonio de Herrera, claimed: "Juan Rodríguez Cabrillo, Portuguese, a person very skilled in seamanship." However, his grandson, Geronimo Cabrillo came (to the New World) from the Kingdoms of Spain." His biographer, Harry Kelsey, has argued the evidence suggests that he was "born in Spain, probably in Seville, but perhaps in Cuellar." As a young boy Cabrillo sailed to the New World. He served with Pánfilo de Narváez during the conquest of Cuba. He spent time in Havana before joining Hernán Cortés in his expedition to Mexico in February 1519. Cabrillo was with Cortés and 500 other men who landed in the Yucatan Peninsula in Mayan territory. The following month Cortés formally claimed the land for the Spanish crown. On 10th May, 1520, one of Cortés's lieutenants Pedro de Alvarado, committed what became known as the Massacre in the Main Temple, in Tenochtitlán. The local people rebelled against their Spanish rulers. Cortés quickly returned to the city but the military situation continued to deteriorate and at the beginning of July he decided to abandon Tenochtitlán. With 1,300 soldiers, including horsemen and musketeers, and 2,000 Tlascalan troops, he had to fight his way out of the city. This was made more difficult by the Aztecs who had removed the bridges from the causeways. The retreat lasted for five days. During the time, according to Bernal Díaz del Castillo, more than 900 Spanish soldiers and 1,000 Tlascalan auxiliaries were either killed or captured and later sacrificed, during the battle. Juan Rodríguez Cabrillo was one of those who survived this military disaster. Hernán Cortés established a new base at Texcoco, where he began building a fleet of ships, with the intention of retaking Tenochtitlán. According to Bernal Díaz, Cortés placed Castillo in charge of the caulking of the ships. The Spanish historian, Francisco López de Gómara, claims that: "The bergantines were calked with tow and cotton, and from the lack of tallow and oil... they were sealed, according to some, with human fat (not that men were killed for this purpose) taken from those who were killed in war." Castillo served as a mounted officer under Francisco de Orozco in the conquest of Oaxaca in 1521. The following year he joined Pedro de Alvarado in the campaign in Tututepec. Now a senior officer, Castillo took part in the invasions of Guatemala and Honduras in 1523. His biographer, Harry Kelsey, claims that: "Juan Rodríguez himself apparently took an Indian wife about this time, perhaps one of the extremely attractive Tzutuhil woman who still beguile travelers with their delicate features and flashing smiles. Her name is unknown, but she lived with Juan Rodríguez for a number of years, bearing several children, among them at least three daughters." Castillo was given large amounts of land in Guatemala. He built a large house in Almolonga and in July 1529 discovered gold on territory he owned in Cobán. 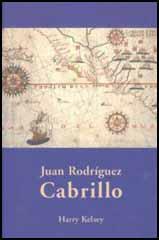 The author of Juan Rodríguez Cabrillo (1988), argues that this turned him into one of the richest men in Guatemala. Kelsey adds "as a merchant-adventurer he learned to read, write, keep accounts, and sell goods at a profit." In the early 1530s Castillo returned to Spain in order to find a wife. He eventually married Beatriz Sánchez de Ortega, who lived in Seville, and the sister of his friend, Diego Sánchez de Ortega. On his return to the New Spain he began to concentrate on ship building. According to one source he built "seven or eight... between 1536 and 1540". In 1542 Antonio de Mendoza, the new viceroy of New Spain, commissioned Juan Rodríguez Cabrillo to lead an expedition up the California coast in search of trade opportunities and to find the Strait of Anián, purportedly linking the Pacific and the Atlantic. On 27th June, Cabrillo sailed from the port of La Navidad along the Mexican coast north of Acapulco, rounded the tip of the Baja Peninsula and then moved slowly north. On 12th August they entered a little bay. They found four Native Americans but they ran off when they approached. The following month Cabrillo recorded that from his ship he saw "very beautiful valleys, groves of trees, and low, rolling countryside". He added that the mainland was "good land, by its appearance, with broad valleys and with mountains farther inland." Cabrillo also saw that large areas of land covered with dense smoke. It was later discovered that Native Americans in this part of California used this "aboriginal burning technique increased the harvest of acorns and grass seeds and improved the browse for deer, rabbits, and other animals". On 28th September, Cabrillo anchored in San Diego Bay. Cabrillo and his men therefore became the first Europeans to reach California from the sea. Soon after landing Cabrillo encountered members of the Chumash tribe. They initially fled but when some of the men went ashore to fish with a net, some of them returned, armed with bows and arrows and fired at the Spaniards. Two days later three members of the tribe approached Cabrillo's party and they managed a lengthy conversation in sign language. They reported that further inland there were bearded men dressed just like those on the ships, armed with crossbows and swords. According to the Indians, the bearded men had killed many natives. This was the reason why they had fired on the men fishing in the sea. On 8th October they visited San Pedro Bay. Cabrillo described the place as "a good port and a good land with many valleys and plains and wooded areas." The following day they anchored overnight in Santa Monica Bay. Cabrillo recorded that the land was "more than excellent" and was the type of "country where you can make a settlement." Going up the coast Cabrillo saw Anacapa Island, 14 miles (23 km) off the coast, and spent the next few days in Cuyler Harbor on the island of San Miguel. On 13th November Cabrillo reached Point Reyes, but missed San Francisco Bay. Coming back down the coast, Cabrillo entered Monterey Bay on 16th November. 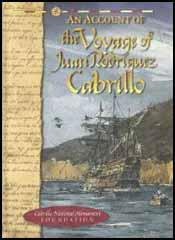 At the end of the year Cabrillo returned to San Miguel. However, on 24th December, Cabrillo had an accident while entering the harbour in a small boat. Francisco de Vargas recorded: "As he began to jump out of the boat, one foot struck a rocky ledge, and he splintered a shinbone." Another account said he "broke an arm close to the shoulder"
Harry Kelsey, the author of Juan Rodríguez Cabrillo (1988) has pointed out: "In a fall such as this, it is certainly possible that he broke both his arm and his leg... Juan Rodríguez Cabrillo was taken back aboard ship, where the surgeon tried to treat the wound. However, the injury could not be helped with the medical knowledge then available. The wound quickly turned morbid and became infested with gangrene." Just before his death on 3rd January, 1543, he requested his chief pilot, Bartolomé Ferrelo, to continue the expedition northward. On 1st March he reached latitude 42 degrees north, later the boundary between California and Oregon, before turning south and returning to La Navidad. Service in the conquest was further recognized in 1536 when, on 20 July, Pedro de Alvarado granted the encomiendas of Teoata and Cotela to his captain, then a resident of Gracias a Díos.6 This friendship with Alvarado was further reflected by the placing of Rodríguez Cabrillo in command of the former's shipyards at Acajutla where twelve vessels were under construction for exploration and discovery in the Pacific Ocean. By 1540 the twelve ships were completed as was another, the San Salvador, constructed by Rodríguez Cabrillo at his own expense. The fleet thus prepared, Alvarado, with Rodríguez Cabrillo as his admiral, sailed to the Colima coast of New Spain to join forces with his partner in the enterprise. Viceroy Antonio de Mendoza. During this period Rodríguez Cabrillo was further honored by his commander with a concession of encomiendas at Tacuba and Jumaitepeque. The situation in New Spain at the time of Alvarado's arrival in Colima did not permit the immediate initiation of exploration, for a general Indian rebellion, the Mixtón War, in the western regions (Nueva Galicia) required all available troops. Unable to proceed, Alvarado marched inland to join in battle, leaving Rodríguez Cabrillo in command of the fleet at Colima. The death of Alvarado in the summer of 1541 placed Rodríguez Cabrillo in full command of the fleet and in direct contact with Mendoza, who, desirous of continuing his plans for exploration, took charge of Alvarado's vessels and prepared them for sailing. As a result of his experience and the high esteem in which he was held by Alvarado, Rodríguez Cabrillo was confirmed in his command by Mendoza and was ordered to prepare the San Salvador and Victoria for exploration northward along the Pacific Coast. Sailing from Navidad on 27 June 1542, Rodríguez Cabrillo began his historic voyage to Alta California; a voyage from which he would not return. On 23 November of that year he was injured by a fall on San Miguel Island, yet continued to explore the north coast of California. In a fall such as this, it is certainly possible that he broke both his arm and his leg... Juan Rodríguez Cabrillo was taken back aboard ship, where the surgeon tried to treat the wound. However, the injury could not be helped with the medical knowledge then available. The wound quickly turned morbid and became infested with gangrene. Knowing that death was near, Juan Rodríguez called on his chief pilot to hand over command of the armada. He then proceeded to put his papers in the best order possible, though he was not able to summon enough strength to complete that part of his account that recorded the voyage north of the Channel Islands. This section of the narrative remains singularly lacking in detail, having none of the enlightening comments that enliven the earlier pages.